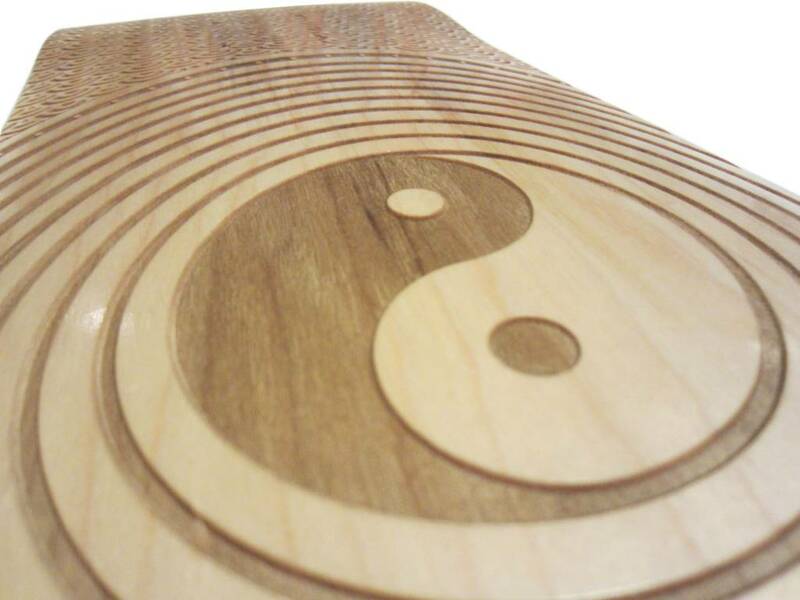 This Yin Yang design is one of four designs Gareth Hollis created as a part of his final year design project. 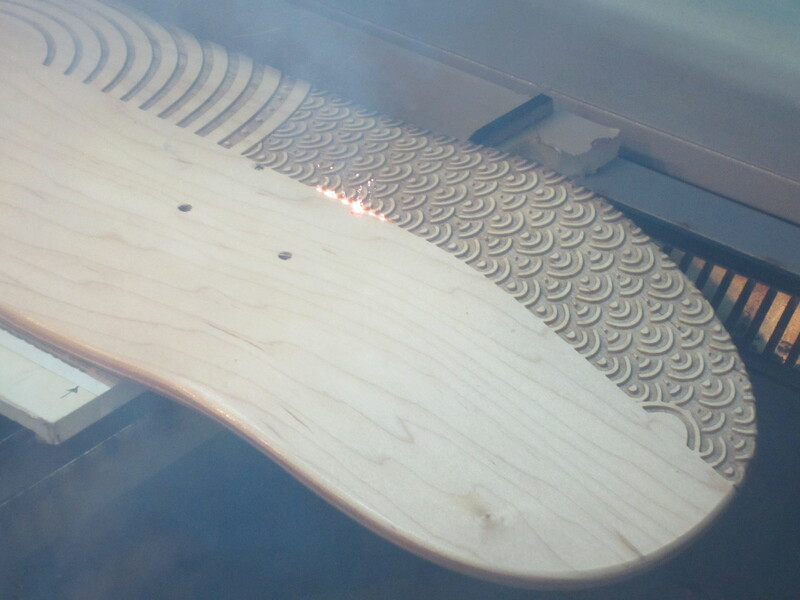 This skateboard deck was engraved using a lens with 250mm focal distance, allowing for a full bleed edge to edge consistent etch. Below is a action shot of the Yin Yang design being laser engraved.